CQUniversity Australia has a unique and interesting history. The University was originally founded in Rockhampton in 1967 and was known as the Queensland Institute of Technology (Capricornia). By 1974 it was among only a few Australian institutes to commence the delivery of online study. 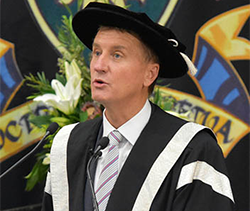 Between 1978 and 1989 further campuses were established in Bundaberg, Emerald, Gladstone, and Mackay and in 1992 the Institute achieved full University status to become known as Central Queensland University. Along with locations in regional Queensland, CQUniversity has also expanded its presence throughout Australia with campuses in Adelaide, Brisbane, Cairns, Melbourne, Noosa, Sydney and Townsville, Study Centres in Biloela and Yeppoon, dedicated Online Study Centres in Perth and Townsville and Partner Study Hubs in Queensland, Cooma, New South Wales, Geraldton and Karratha, Western Australia. Now more than 20 years on, and following a merger with CQ TAFE on 1 July 2014, CQUniversity is responsible for providing a diverse range of training and education programs and courses to more than 30,000 students studying qualifications from certificate to post-doctorate level. 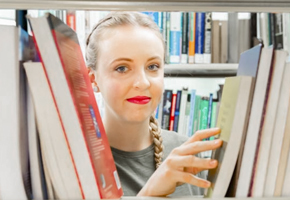 Study areas include Apprenticeships, Trades and Training, Business, Accounting and Law, Creative, Performing and Visual Arts, Education and Humanities, Engineering and Built Environment, Health, Information Technology and Digital Media, Psychology, Social Work and Community Services, Science and Environment, and Work and Study Preparation. The merger with CQ TAFE saw the establishment of Queensland's first dual sector university, providing a more comprehensive approach to education, training, research and engagement in the central Queensland region and beyond. CQUniversity continues to be a leader in the delivery of online study with approximately half of the student cohort being made up of students studying by online study. 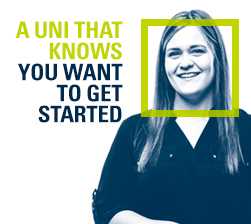 Compared to other universities, CQUniversity is also proud to have the highest ratio of students from mature age, Aboriginal and Torres Strait Islander, first-in-family and low socio-economic backgrounds. The University defines itself by who it embraces rather than who it excludes, and because of this is widely recognised as Australia's most inclusive university. What's more, CQUniversity students have some of the best graduate outcomes, with recent data released by Graduate Careers Australia indicating that CQUniversity has an overall full-time graduate employment rate of 81.1 percent. This ﬁgure is almost 10 percent higher than the national average of 71.3 percent for Australian resident bachelor degree graduates. CQUniversity has also established itself as a research-focused university and in the 2012 Excellence in Research Australia rankings the University was rated at or above world standard in the areas of agriculture, applied mathematics, nursing, and medical and health sciences.CQUniversity is among Australia's most engaged universities and throughout the years has formed valuable partnerships with government, community and industry groups, right across the national university footprint and overseas. 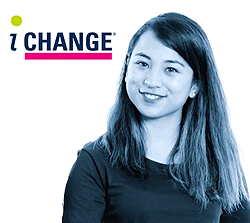 Learn more about CQUniversity's values which include engagement, leadership, a can do approach, openness and inclusiveness. Need to find a member of our staff or locate a research expert? Find all relevant staff in our Staff Directory.